Yokes come in many guises, with stitches in colour and textures each creating a beautiful piece of knitted jewellery. 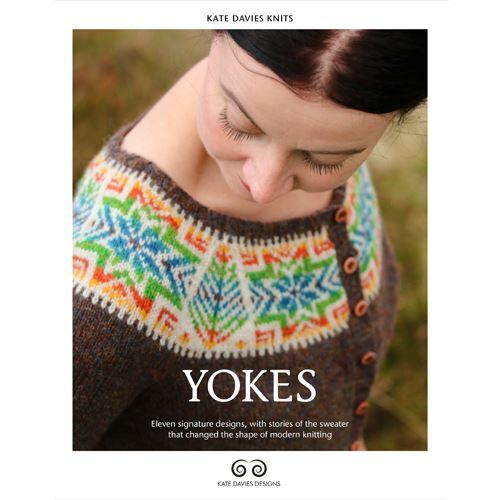 In her latest book Kate Davies takes you on her yoke voyage from Canada to Shetland through the ages with yoke to suit every age shape and size. This beautifully photographed and laid out book has eleven signature yoke patterns, featuring a wide range of design elements from colourwork and cables to beads and texture, Kate has created a yoke for every knitter. Please note there is no VAT charged on books.